the People who Kick Start Acting Careers! Treat your acting career as a business – not a hobby! You’ve got some tough decisions to make. Where to start…who to contact…how to follow up, and when…and how to get your CV to the top of a pile that never stops growing! Then, when you land a big audition, how do you prepare? Should you be off the book? Do you dress for the part? Play it safe or take a few risks? And most importantly – how do you respond when you’re quizzed by a director? Make the wrong choices and the simple truth is, you’ll hurt your career prospects. But with all the right moves, you’ll be in the game. Frequent auditions, regular work. 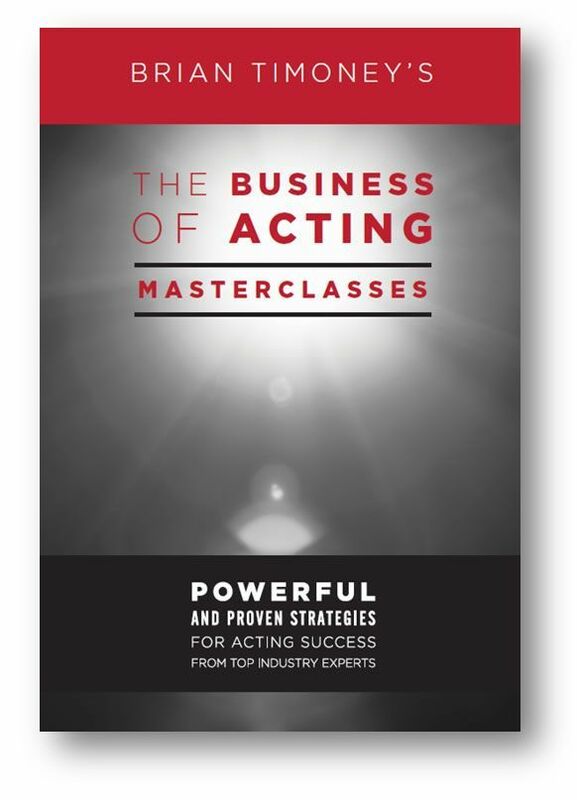 So to steer you in the right direction, I’ve put together this audio series, featuring interviews with senior people who discover and manage actors. I’ll tell you all about the CDs, and my expert guests, in a moment. living proof that it can be done! 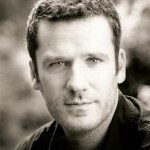 I’m Brian Timoney, and I’ve been acting for over 20 years, ever since I swapped my job in a bank for a career on stage and screen. I won’t pretend it was easy, starting from nowhere, because back in the early 90s career advice was thin on the ground. But despite the odds, I made it happen. And over the years I’ve worked with a host of leading actors and directors. Yes, I admit it’s been hard work – but I’ve loved every minute! Today, I spend most of my time running my actors studio in London and L.A., where I’m helping the next generation of actors to break through. As well as learning the best-kept secrets of Method Acting, my students get the best career guidance – courtesy of my contacts in the industry. Agents, coaches, casting directors…the people who can open doors. And now, in this CD set, you can share in these insights too. So you can avoid the costly mistakes I made when I got started! made a good living. Why shouldn’t you? Water skiing and surfing: the difference between film and theatre work! The dangers of being under, or over, prepared for your audition! Dressing the part for an audition – how far should you go? Taking direction in your audition: should you let go of your character choices? What will directors be looking for the first time you read? The 7 qualities all actors need – because talent will only get you so far! instinctive…because that’s where the magic is! “British actors can be lazy in auditions” – a chance for you to break in! The risk of ticking too many skill boxes in your Spotlight profile! WARNING: this material is for committed actors looking for more auditions. It is not for people looking for a passport to instant fame! I have to stress this – because so many people, I find, are looking at acting for all the wrong reasons. Not because they want to explore their creative side and enjoy the many challenges of stage, TV and film work…but because they see famous actors on the covers of magazines and long for the glitzy lifestyle. These people, I can’t help. If you’re going to invest in this material, you should understand this. It’s not about propelling you to a 7 figure deal so you can spend 50 weeks of the year lying on the deck of a yacht! It’s about knowing who to call, what to say, and when. It’s about knowing your best qualities, so you read for suitable roles. It’s about getting auditions, and getting through them…getting the offer. It’s about working. By changing the way you run your acting life – from a hobby, to a business. Order your CDs. Rip open the box, listen to them back to back, take furious notes…then straight away, get busy putting all this advice into action. Tweak your CV, review your headshots, start talking to the right people. Create showreels. Get on Spotlight. Find out what’s filming and where. You’ll know how. That’s my challenge. Just do as our experts say, and you will get auditions. And for time only, your investment is just one single payment of £97. I want you to experience this, and start putting it to work. So I’m adding a 90 Day Zero Risk Guarantee: if, after 90 days, you decide these CDs are not for you, just return them to me undamaged and I’ll refund your entire investment. That means over the next 3 months, you can put all these powerful strategies to the test. You’ve got literally nothing to lose and a whole new career to gain. Whatever you do next, please don’t guess your way through the acting system! I can tell you from firsthand experience, there are too many pitfalls out there. So if you choose to go it alone, you’re bound to make some bad choices. Effectively, you’ll be navigating without a map – making it nigh on impossible to find the quickest way through. So whether you choose this material, or seek advice elsewhere, you need guidance from someone you can trust, who knows the industry back to front. If you’re happy to put that trust in me, order your CDs now. Then in a few months, drop me a line and tell me how you’re doing. Tell me how you got your first audition, made your acting debut…and the big one, when you gave up the day job! P.S. Despite what people tell you, there’s a lot of acting work out there. And competitive as the industry is, you’ll have the edge in the market. Because most actors simply don’t know what you’re about to discover. And those that do know, well…how many of them will make the same effort as you? You won’t find advice of this quality, and on this scale, anywhere else. High profile agents and casting directors don’t give many interviews, so this is a rare chance for you to get the inside track. Order now for a limited time only for £97.